The James Gaiters Soul Revival, featuring Eddie Bayard (saxophone), Derek DiCenzo (guitar), Robert Mason (organ) and James Gaiters (drums), returns to Natalie’s for another outstanding evening of music. 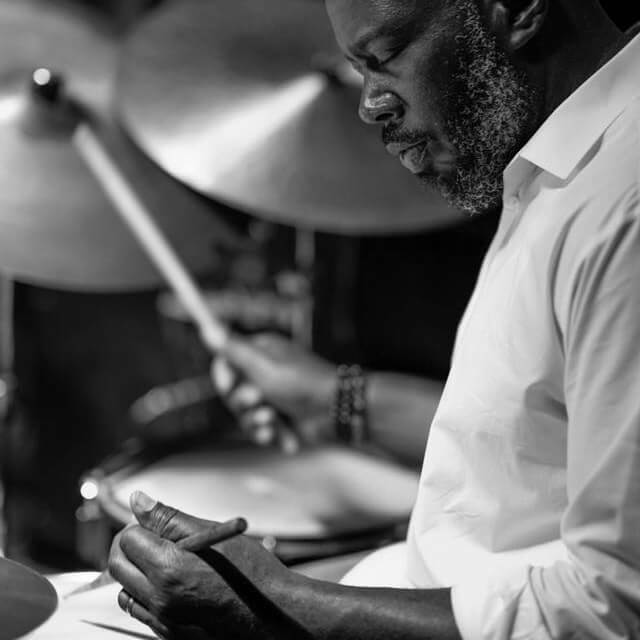 James has appeared with many of the world’s greatest artists, been a featured performer with Wynton Marsalis and has received accolades the world over. James’ powerfully musical voice has also led to nationally and internationally televised features on BET on jazz and he has been featured on some of the world’s most prestigious jazz festivals. James is also a prolific composer, arranger and producer, and has written, produced and released Looking Back Ahead, a CD featuring his own group, MUV-MeNT, as well as his more recent album Exodus.